1. Empire State Building Observatory plus a return visit after 10 p.m., on the same day you visit. 2. American Museum of Natural History and the Rose Center for Earth and Space. 3. Metropolitan Museum of Art plus entry to all special exhibitions and same-week admission to The Cloisters museum and gardens. 4. Guggenheim Museum or Top of the Rock Observation Deck. 5. Statue of Liberty and Ellis Island Cruise or choice of Circle Line Semi-Circle Cruise, Harbor Lights Cruise, Liberty Cruise, or The Beast speedboat tour. 6. 9/11 Memorial and Museum or Intrepid Sea, Air and Space Museum. The booklet also comes with coupons, detailed attraction information (though you’ll probably still want a guidebook or audio-guides for visiting), and a city map. 1. Priority access at most of the attractions that will allow you to skip most lines. In the City that Never Sleeps, the old adage that money is time rings true. 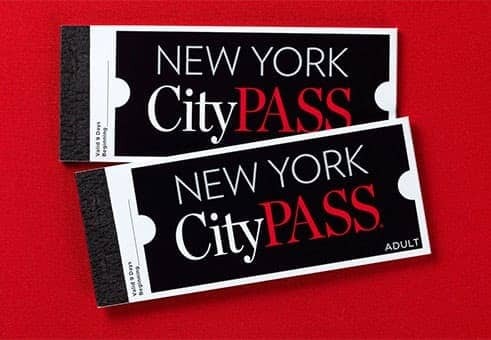 If you use it right, the CityPASS offers savings on both fronts, with discounts of 41 percent on regular box office admission prices and the added savings of time spent planning and time spent waiting in line. Waiting in a throng of hundreds of tourists for hours (yes, it can be hours) to get into New York’s top attractions is a terrible waste of time when you’re in a city with so much going on. Skipping many of the lines is a definite bonus. 2. CityPASS doesn’t grant access to second-rate attractions. The pass includes admission to the city’s most iconic landmarks, world-class museums, and great activities that any visitor to the Big Apple really would want to see. 3. Your Pass comes with additional discounts, too, such as VIP rates for special exhibits at the American Museum of Natural History. The Pass grants you evening access to the Empire State Building on the same day that you visit, letting you return after 10 p.m. So if you can’t decide whether to go during the day to see out to every far-reaching borough, or take in the sparkling lights and the glow of Times Square from on high at night—well, you don’t have to. Also, the Pass comes with a 15 percent off all-day savings coupon at Bloomingdale’s, and a free gift with a purchase of US$300 or more. 4. The New York CityPASS is valid for nine days, which gives you plenty of time to hit every included attraction at a leisurely pace, even if you take a few days off from sightseeing and museum-hopping during your stay. This also makes it a great option for locals, since the validity period can span two full weekends, depending on when you redeem it. 5. The Pass offers some flexibility. You don’t have to do both the Empire State Building and the Top of the Rock to get the most out of your pass; switch up your observation deck tours by opting to visit the Guggenheim instead. Did you see the Statue of Liberty on your last trip to the Big Apple? No problem! Opt for an evening harbor lights cruise on the Hudson, instead. 1. Really evaluate which attractions you’ll visit in the amount of time that you have. There’s nothing worse than getting to the end of a trip and realizing that you could have saved a ton of time and money by just buying the CityPASS in advance. Similarly, it’s not a great feeling to have paid for something you didn’t put to use. To get the most out of the discounted admission, plan to visit at least three or four of the attractions on the list. 2. Some of the museums included in the pass have free admission at certain times of the week or just request suggested donations (The Museum of Natural History and the Metropolitan Museum of Art fall into the latter category). While we don’t recommend skimping on the entry donation (these museums do amazing work! ), if you’re OK with dealing with the extra hassle of coordinating each museum’s schedule (and the hordes that generally accompany free admission to anything), then some attractions might not actually be cheaper with the CityPASS. 3. “Skip-the-line” doesn’t necessarily mean “skip-ALL-the-lines.” At the Empire State Building, for example, you skip the ticket line but still need to wait with the masses to ride the elevator up to the observation deck. Harbor cruises and Top of the Rock visits fill up on a first-come, first-served basis, as well. You should still plan to arrive early, or visit attractions during non-peak hours. Insider Tip: At the Top of the Rock, you can take a discounted Rockefeller Center tour while you wait. 4. The Statue of Liberty visit does not include a visit to the crown or the pedestal. If you want to visit the crown, that’s a separate ticket, so you might as well use your CityPASS for a different cruise. If you want to visit the pedestal, get there early to pick up a free ticket—they’re available on a first-come, first-served basis. 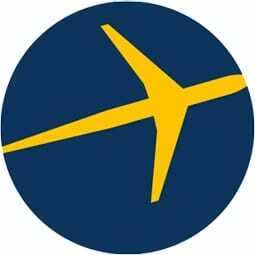 To book a New York CityPASS, click here.